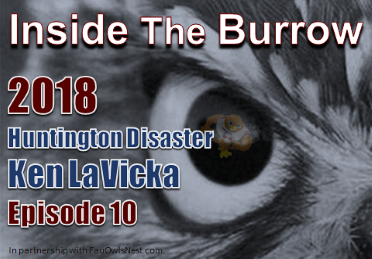 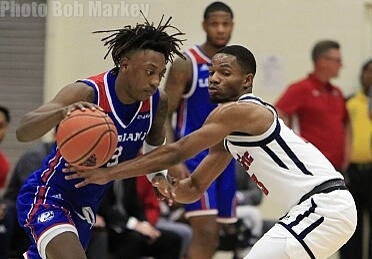 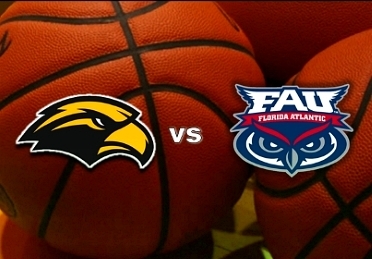 Florida Atlantic Coach Dusty May discusses the Owls' 72-69 loss against Louisiana Tech on March 6th, 2019 at FAU Arena. 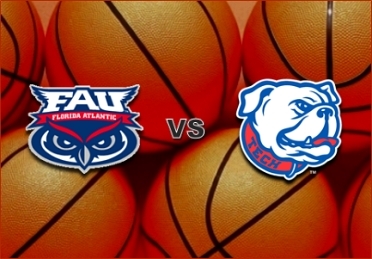 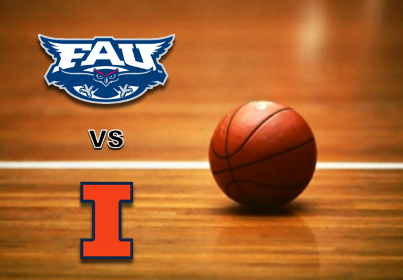 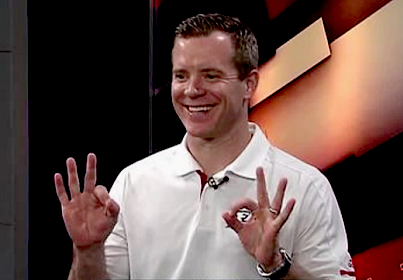 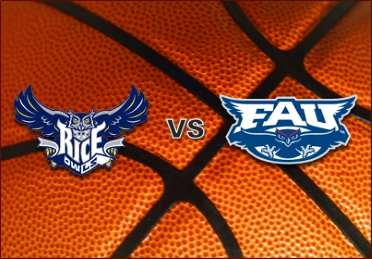 Florida Atlantic Basketball Coach Dusty May discusses the Owls' 60-41 win against Rice on February 16th, 2019 at FAU Arena. 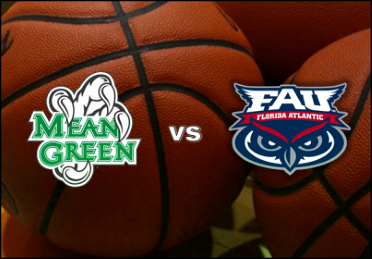 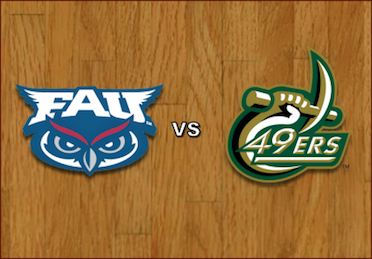 Florida Atlantic Coach Dusty May discusses the Owls' 57-47 win against North Texas on February 14th, 2019 at FAU Arena. 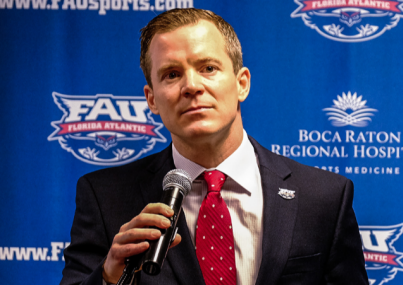 Florida Atlantic Coach Dusty May discusses the Owls' 65-60 loss against Charlotte on January 12, 2019 at FAU Arena. 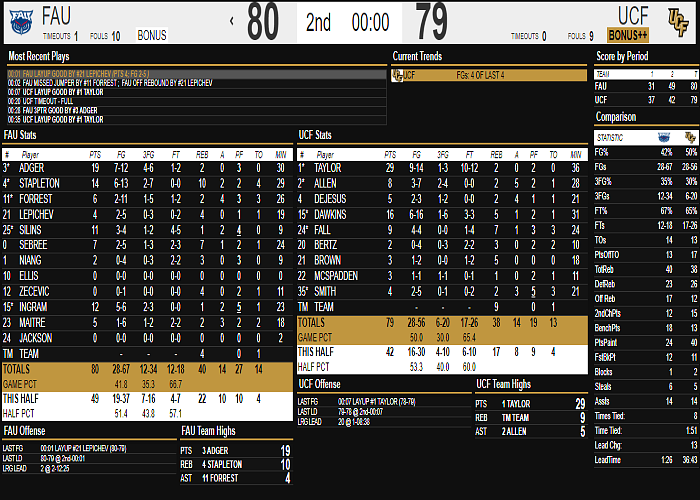 Box score from the Owls' 80-73 win against the Monarchs. 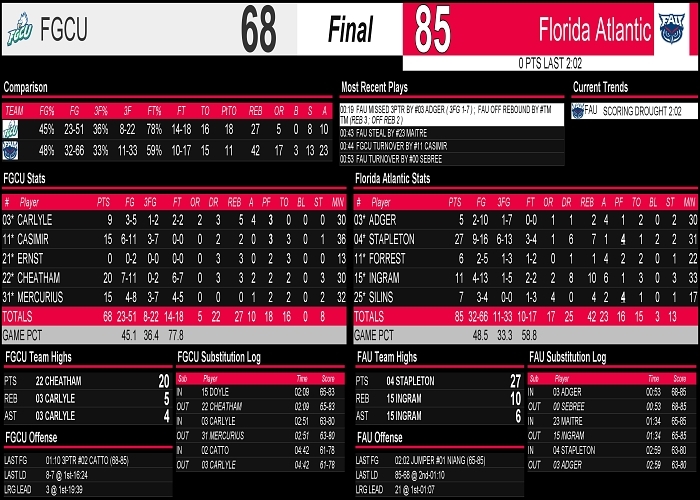 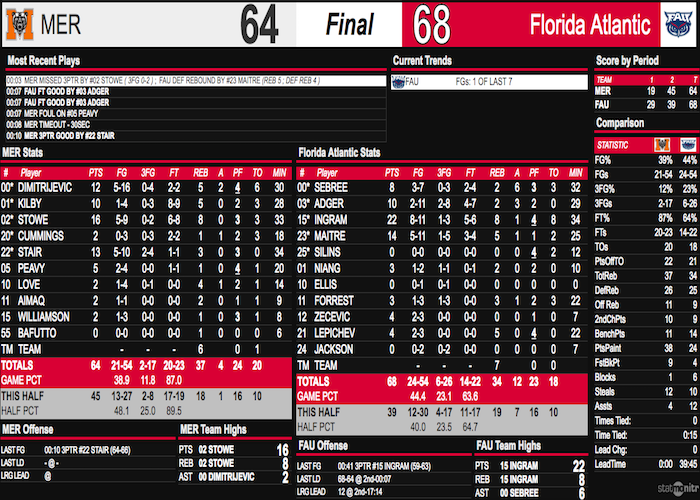 Box score from FAU's 68-64 win against Mercer on December 5, 2018 in The Burrow. 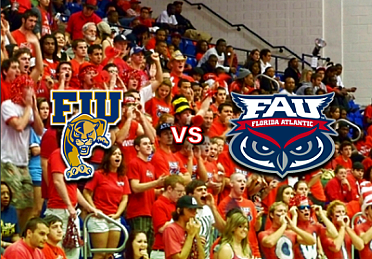 FAU Coach Dusty May has announced the signing of three student-athletes. 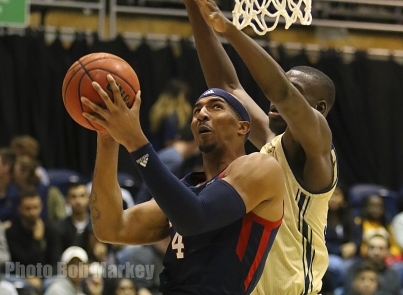 Kenan Blackshear, Carrington McCaskill and Dardan Kapiti will join the Owls for the 2019-20 season. 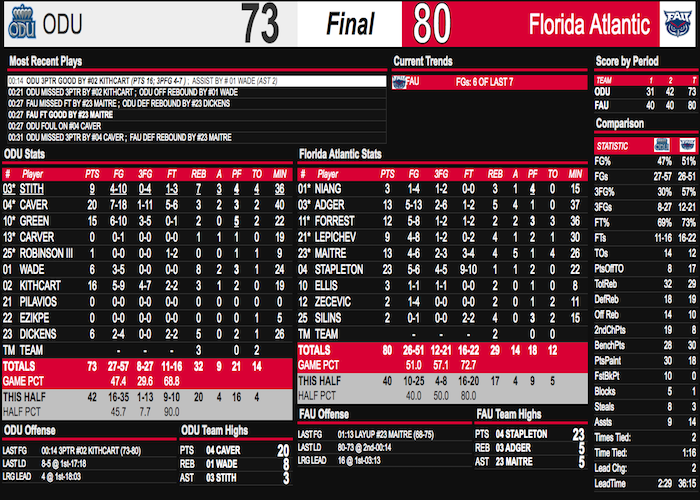 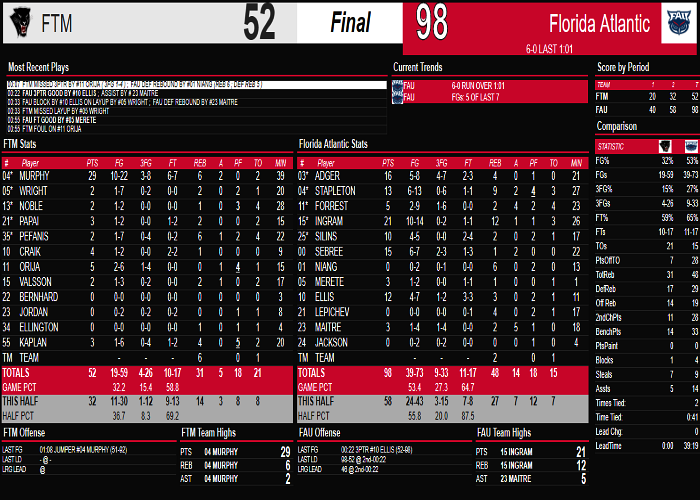 Box score from the Owls' 80-79 comeback win against the Knights on November 11, 2018 in Orlando. 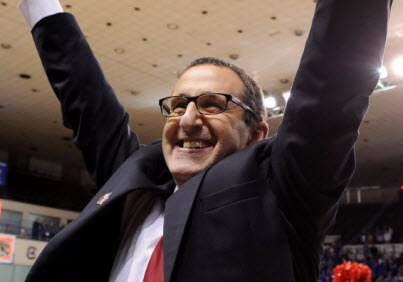 Jabir’s coaching achievements have twice earned him recognition as a finalist for the National Coach of the Year Award. 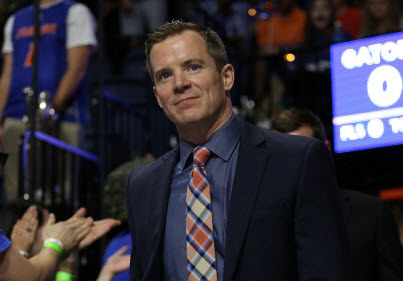 He will be the fifth coach to guide the Owls program.